Detroit, Michigan - July 09, 2008 -- Hailed by fashion design experts as “…a real world manual to starting a fashion business for any apparel designer…” and “…absolutely inspiring…” this comprehensive, fashion industry step-by-step guide to achieving exactly what the title says – is stirring up some much needed energy in the world of fashion and the spirit of entrepreneurs everywhere. The Fashion Mogul Package by StartingAClothingLine.com is the ultimate solution for fashion designers and novice. 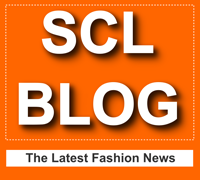 Armed with the incredible design software, Digital Fashion Pro, and a multitude of information, including manuals, textbooks, and reference guides – startingaclothingline.com is the ultimate resource to assist an individual and/or company with beginning or enhancing their business endeavor. From the time the concept pops into your head, startingaclothingline.com walks you through the detailed process entailed with actually getting your fashion designs into consumers’ closets and retailers’ shelves. Startingaclothingline.com demonstrates firsthand how FALSE all of the above statements are. The authors’ positions are about good old fashioned business building. Goal setting and achievement. Elbow grease and imagination. They stand by the belief that never losing sight of your vision, no matter wherever you are, with whatever skills you possess – your passion combined with the right resources, will yield a successful fashion entrepreneur and designer. Much of the knowledge the customer gains from utilizing StartingAClothingLine.com is information they won’t receive elsewhere. Real-world is a most accurate description, because the kit offers up answers and guidance related to real-world scenarios; such as, finding deals with manufacturers, production and distribution, branding, quality control, trademarks, packaging, and much more, including real-world solutions to the many obstacles companies run into throughout the creative and business process. The software in particular, Digital Fashion Pro, is incomparable in its abilities to provide the designer with a true sense of how the end-product should look and feel. With the use of their trademarked Digital Fabrics, it is possible to create lifelike fashion sketches on the computer – a capability no other fashion design software can attest to. The Fashion Mogul Package gives individuals of all backgrounds the tools they need to start a clothing line and make it in the fashion industry. For more about startingaclothingline.com, including detailed program information, a partial list of clients, personal testimonials, and pricing, visit the website. Startingaclothingline.com is a division of the Harper Arrington Company.